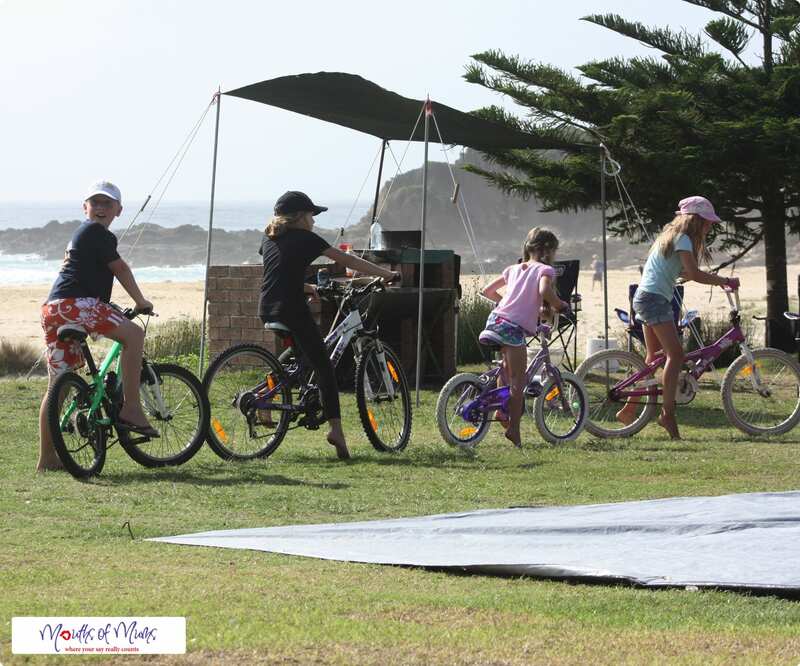 Home | Blog | Tarp surfing; fun and free school holiday activities do exist! 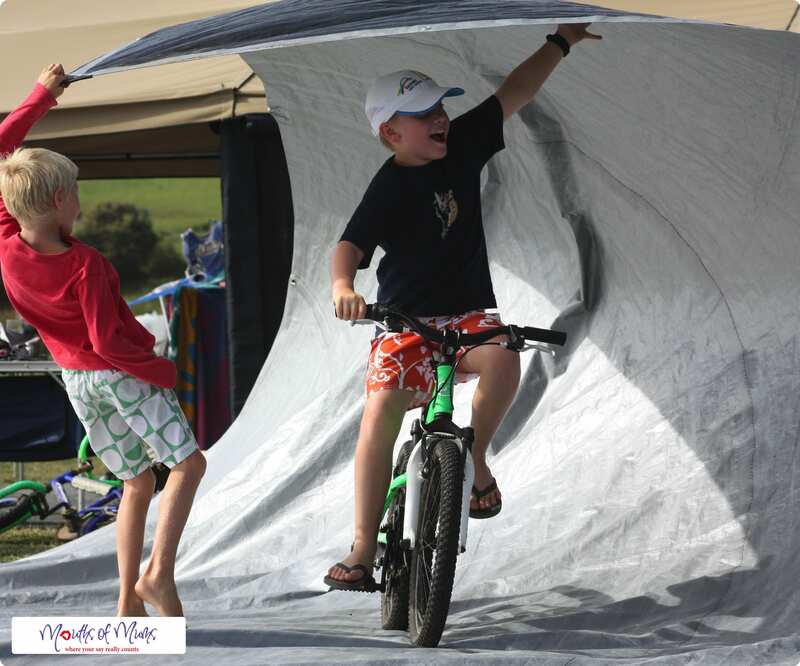 Tarp surfing; fun and free school holiday activities do exist! In our house, school holidays are always something we look forward to. However if we’re not careful, staying at home for the holidays can end up costing you more than actually going away. Movies, museums, play centres and even craft activities can end up costing you a fortune. That in mind, we’re always on the lookout for fun and free school holiday activities. And if those activities get my kids out of the house (and off the screens) it’s even better. Tarp Surfing on YouTube – the big boys show us how it’s done. 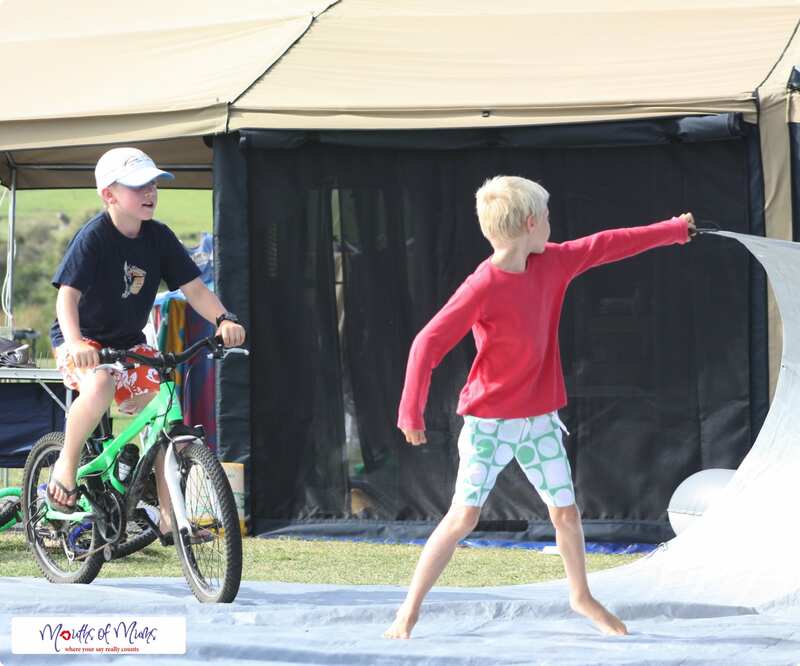 Yes, it’s called Tarp Surfing and once our kids saw this clip, they immediately wanted to do it! Obviously we couldn’t replicate the YouTube clip exactly (our tarp was silver, much smaller and the kids can’t ride a skateboard well enough yet) but it was still huge amounts of fun. So how to Tarp Surf? Lie the largest tarp you have on a wide open grassy area – in these pics we were camping down at Blackfellows Beach so had lots of space. But we have been known to tarp surf in the front yard, at the local park and even in the school playground. Then grab one corner of the tarp, extend your arm and run diagonally across the tarp. 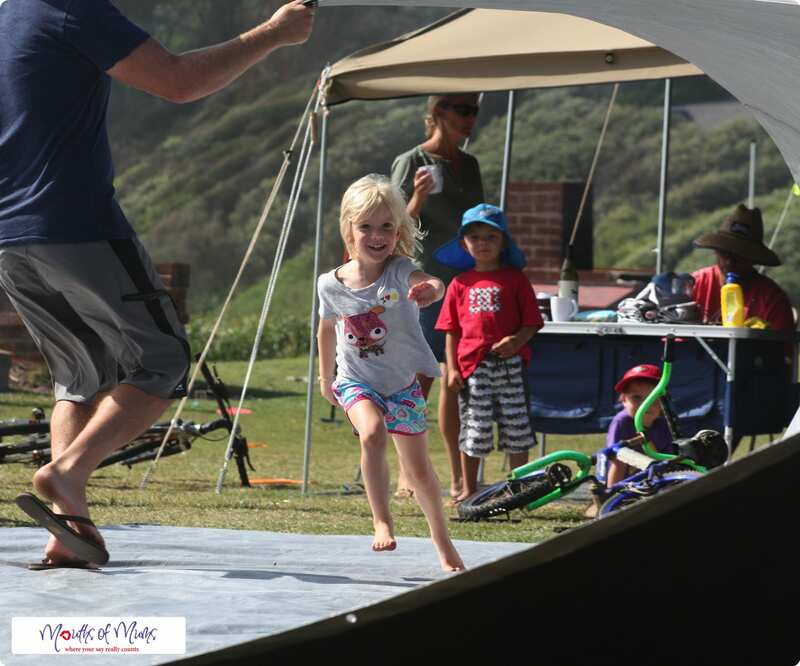 Keep your arm up high and move fast – the wind catches in ‘the barrel’ of the ‘wave’ creating the space where the kids can skateboard, ride or run through. The ‘line up’ – the kids wait for the next wave! Little A takes on a ‘monster wave’ made by Dad. So, lots of fun and very active for everyone. Fun and free school holiday activities do exist! What’s your favourite free school holiday activity? Looks cool, thank you for sharing. I’ve never heard of tarp surfing before. Looks like so much fun. We usually use tarps to make cubby houses or teepees. Great suggestions, I love it. aaww so many things that kids love dont cost a cent. Such a cool and cheap idea! We often go camping at a very beautiful but very windy beach, this would be absolutely perfect! I’ve never heard of this before, it looks fun & would make for some great photos.